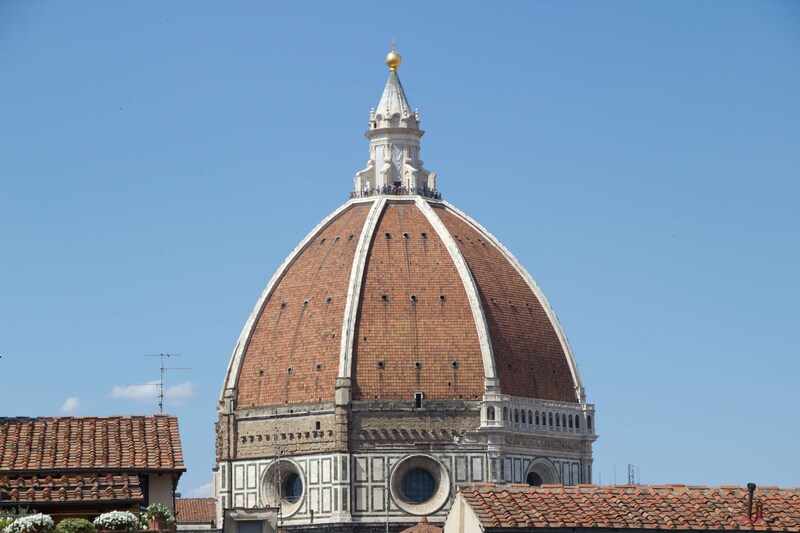 After several days on the Cinque Terre coast, our next stop was Florence. We were ready for history, art and architecture. When we arrived mid-afternoon, it was sweltering hot — felt like 100 degrees. 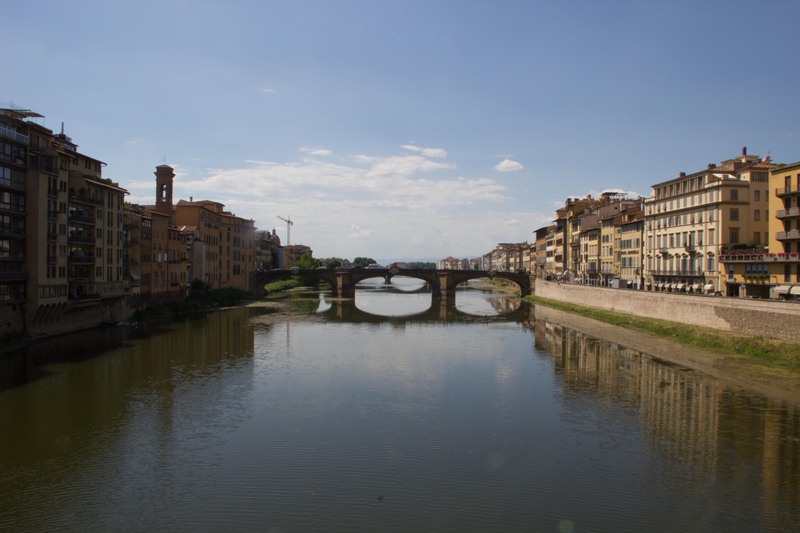 We walked from the train station (Santa Maria Novella), with one rolling luggage each in tow, to Giglio Bianco Bed and Breakfast, across the River Arno. 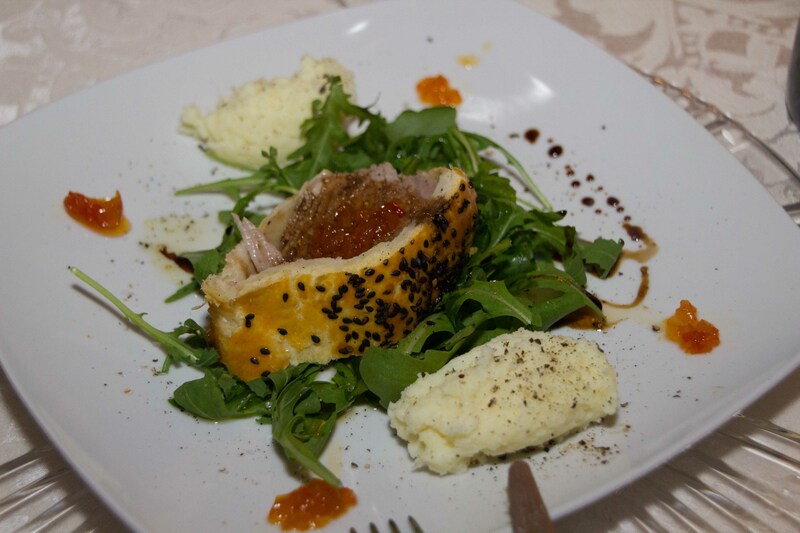 Gourmet dinner made by Vary, owner of Giglio Bianco Bed and Breakfast. We were dripping from sweat. We could have taken the air-conditioned taxi, but decided we might as well from the get-go get a flavor of the city, since 3 days would go by so quickly. We dodged throngs of tourists and passed by many fashionable clothing shops (lots on sale), pizzerias, gelaterias, Ponte Vecchio and the Pitti Palace. We did not stop because our first priority was to get rid of our load and to cool off in our air-conditioned rooms. Eduardo and Vary, the friendly, gracious owners, welcomed us with ice-cold bottles of water. Ahhh! Water never tasted so good! 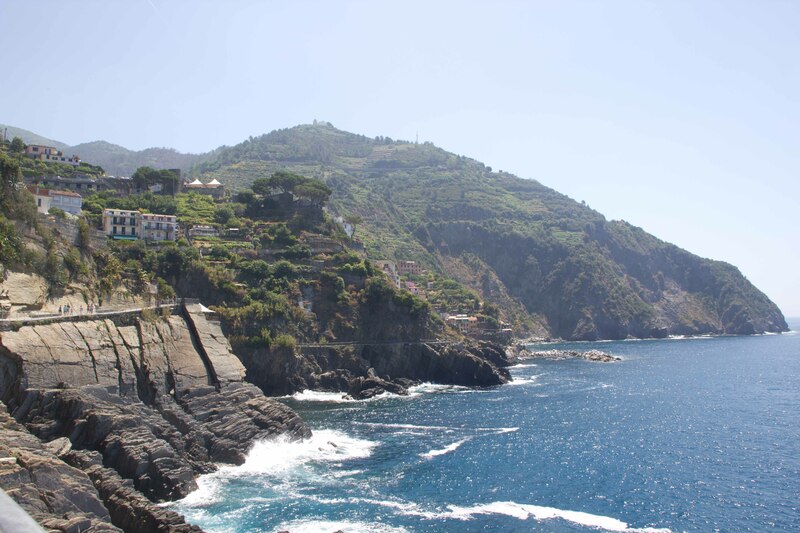 After the 2 1/2-hour train ride, heat and crowded streets from the Cinque Terre coast, we plopped ourselves on the beds and expressed a sigh of relief, savoring the cool air. 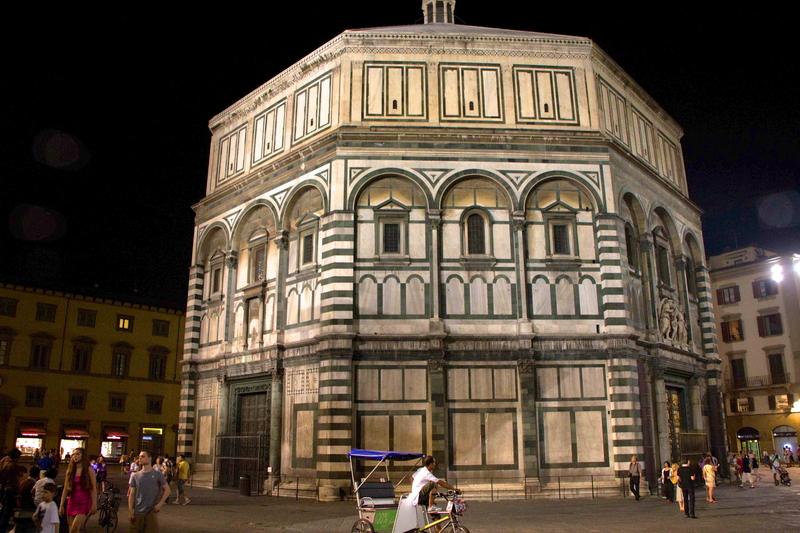 Our next thought was, wow, we have arrived in the historical city of Florence, the cultural center of Italy. 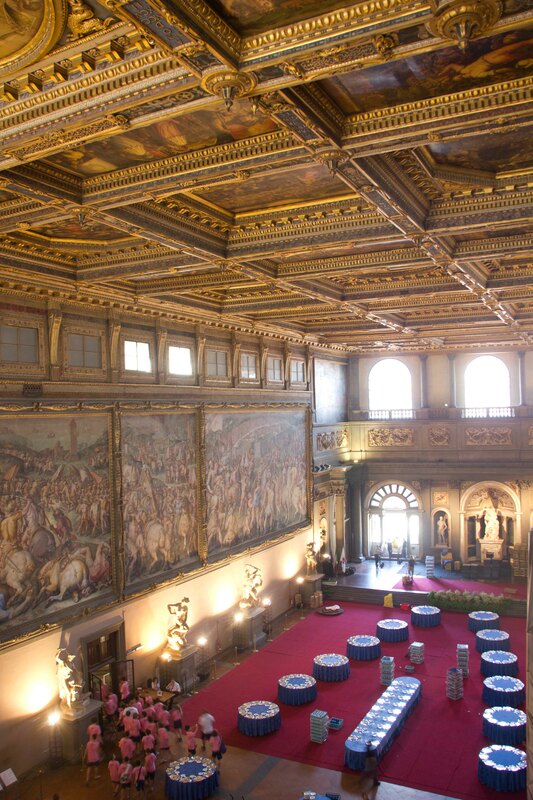 – Uffizi Gallery (the Botticelli paintings were our favorites). I would highly recommend getting a private tour guide to take you through the gallery. We appreciated the history and background he shared in front of selected paintings. Otherwise, the Gallery becomes overwhelming if you tried to look at everything. The “pink” David in the outside courtyard. 1. Europe is hot in the summer. When booking accommodations, make sure you stay in a few places with a swimming pool. Pools might be scarce in big cities, but they are available in other towns and you don’t have to always select 5-star hotels. They will provide a place to refresh and reenergize everyone after a good day’s worth of walking and sightseeing in the heat.The kids, especially, have something to look forward to after you’ve dragged them to yet another tourist site. 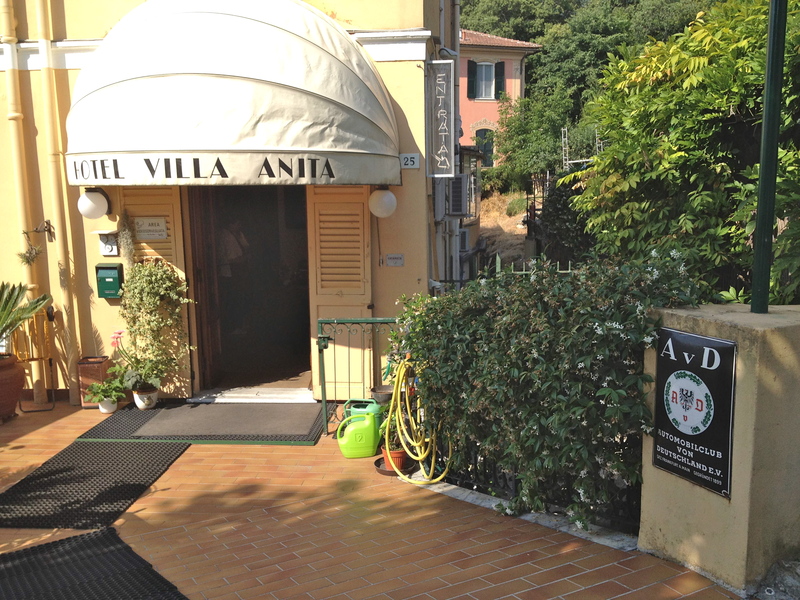 Our small, 2-star hotel in Santa Margherita Ligure (Hotel Villa Anita) had a new, small pool with several jets that entertained the kids endlessly. Although we stayed just one night at the small Hotel Kapetanovic in Opatija, Croatia, the pool was just what the kids needed after a long drive through the country. After two weeks of culture in Northern Italy, we were ready to unwind in Rovinj, Croatia. 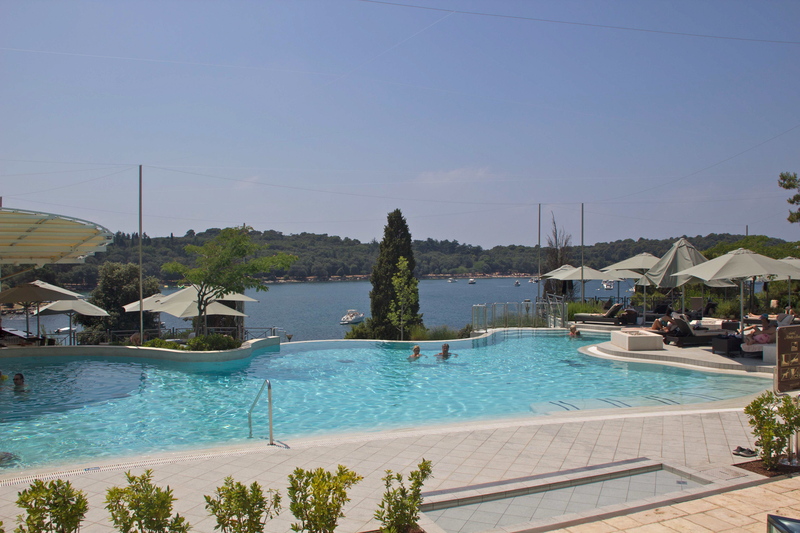 We spent three days splashing and swimming in the pools of the 5-star Monte Mulini, our favorite hotel during our 4-week trip. 2. Give the kids ice cream or a cold drink as often as they want. Forget the calories, forget how much sugar they’re taking in. You will have quieter, happier kids. After all, you do want them to come along with you to visit museums, churches, towers and look at all the interesting architecture, right? Besides, this gives all of you a chance to sit down, talk and cool off. Better yet, find an air-conditioned gelateria or heladeria. 3. Be flexible. It’s okay to not do everything you planned to do. When planning our 3-day stay in Verona, Italy, I had the idea of renting bikes to see the town and surrounding area. Bike tours were certainly promoted as one of the things to do in the city and its outskirts. The weather was so hot and humid (it was 103 F one day!) that there was no way I would be able to convince my family to do a bike tour. No big loss, especially since I didn’t book anything in advance. We walked around instead and came back to our air-conditioned b&b when we got too hot. Another example, prior to our trip, I had reserved a car for our third day in Rovinj, so that we could do some sightseeing to neighboring towns. When we got to the hotel, all we wanted to do was hang out and not leave. We had already been traveling three weeks and we needed some R&R. So, we postponed the car for the next day and relaxed for three days. 4. Schedule a few guided tours. 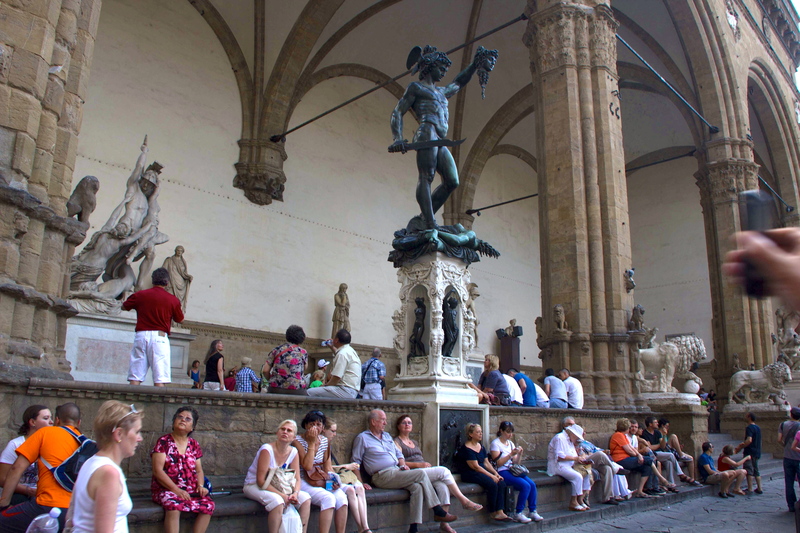 I selected Context Travel for Segovia, Florence and Venice. You can sign up for an already-scheduled tour (10+ people), or decide to take a private tour for up to 6 people. The private tours, though I thought pricey, was well worth the money. The online registration form asked me to give the company a brief description about our family (ages, interests, etc. ), so that they could match us with an appropriate guide. Of course, I asked to have young, energetic guides to capture (and maintain) our children’s attention. We were very happy with our guides. They were knowledgeable, service-oriented and personable. 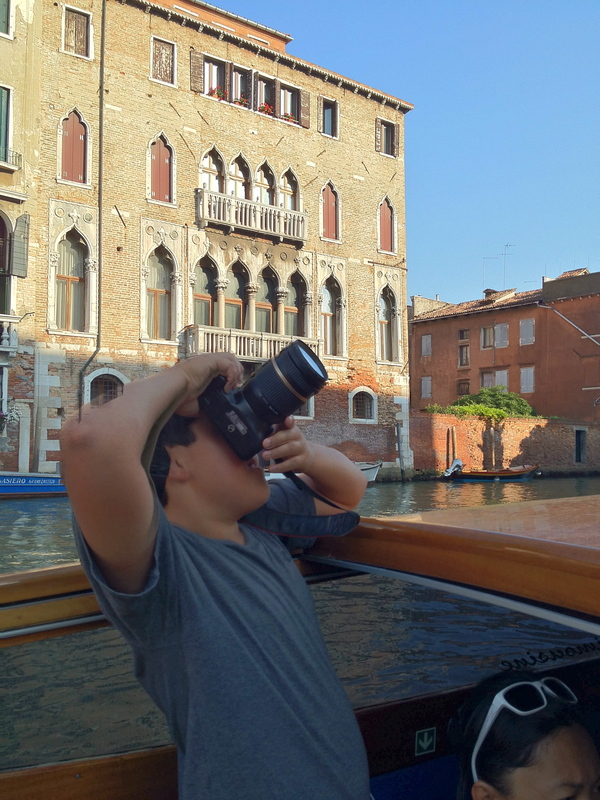 Especially nice was the boat tour through Venice — we were happy to not do a walking tour in the heat. We had our own guide, water taxi and driver and this allowed us to photograph the not-so touristy highlights of the city. 5. Get out after breakfast, rest in the afternoon, be reenergized for the evening. After breakfast, our routine would be to walk around a neighborhood, stop for ice cream, visit a church, museum, or other historical site, then stop for another ice cream or snack. At about 3:00 pm, we would be exhausted. We would head back for the hotel or b&b and rest and enjoy the air-conditioning. The kids occupied that time with their books, electronic gadgets, or swam in the pool. My husband and I read, checked email, and occasionally had a siesta. At around 6:00 pm, we were ready to explore again and slowly make our way to dinner at the restaurant of choice. 6. Do not overdose the kids on big cities with too many museums and churches. Europe is full of these, but DO plan to visit towns that are along the coast or near lakes. This will give everyone a much-needed change of pace. You will enjoy refreshing breezes, cooler temperatures, and wide open spaces. Also, we established a rule of one museum and one church per town. Better to get an in-depth understanding of a few, rather than an overload from too many. Of course, this might not be possible in Florence.